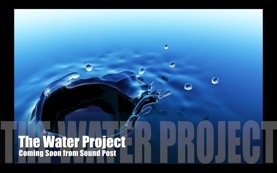 September 2015 – Work has begun on a Sound Post original soundscape: THE WATER PROJECT. Collaborating with Sound Post writers, friends, musicians and voices, this music and sound project is totally inspired by being in, on, under, and around water. Take a deep breath before the plunge … and stay tuned.